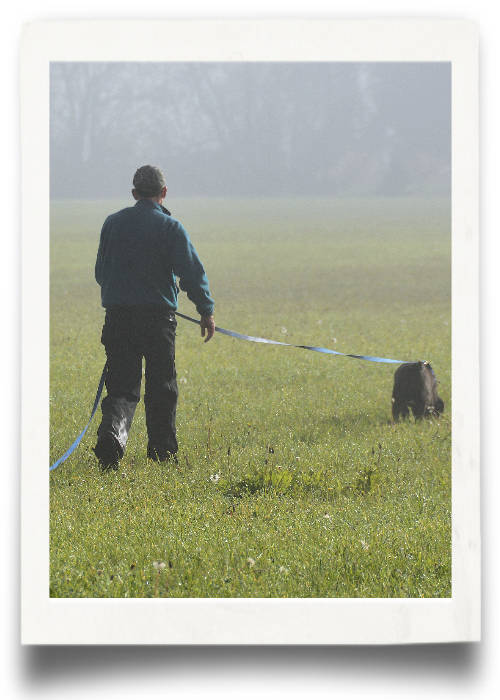 The purpose of tracking tests is to demonstrate the dog’s willingness to work with its handler under a variety of conditions and to follow a defined track, to discriminate scent, to locate and indicate articles. How Do I Get Started in Tracking? Getting started in tracking is easy, and you won’t find a more willing participant! A puppy instinctively uses his nose training your dog to track simply hones his natural ability. And since all dogs have a natural ability to follow a scent, any breed is capable of learning to track. First, find a tracking class. 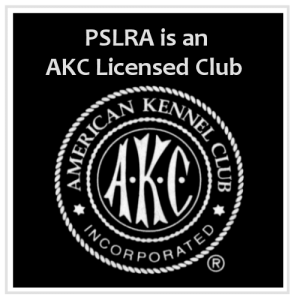 Many AKC-affiliated clubs offer tracking classes and some are “Tracking Only” clubs. To find a club in your area, go to the AKC website, Club Search or Training Resources. Tracking requires very little equipment. You just need a harness, a 20-to-40 foot lead, a few flags to mark your track and an open grassy area free of obstacles such as roads, ditches or woods. There are some great reference books that provide step-by-step instruction to help you train your dog for tracking. Many of the people who have followed these educational programs have gone on to earn tracking titles. Before you enter a Tracking Dog Test (TD), you must have the dog certified by an AKC-approved or provisional judge. This certification form must accompany the entry form. Once you and your dog are ready, find a tracking event in your area by going to the AKC Events Calendar on the AKC website. Contact the club to get a premium list, which details all relevant event information, including the entry form. You may also download entry forms from the AKC website. Complete the form and send it to the test secretary. Once the entries have closed, a draw will determine who will be in the test. There is a great demand for tracking tests, and the number of dogs that can be judged in one day is limited. As a result, there are more entries than spaces available. 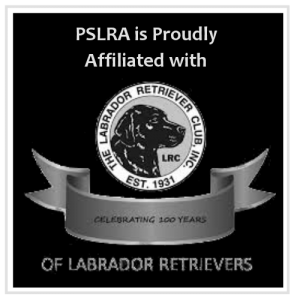 Indefinite Listing Privilege (ILP) Dogs of any breed recognized by the AKC that do not have registration papers or known parents may qualify for an ILP. These dogs may participate in certain AKC events, such as obedience, agility, rally, tracking and many types of performance events. Photos are required to prove the dog is an AKC recognized breed. The dog must also be spayed or neutered. A dog can earn four AKC Tracking titles; each has an increased degree of difficulty. The TD (Tracking Dog) title or the Tracking Dog Urban (TDU) title must be earned before competing for a TDX (Tracking Dog Excellent) or VST (Variable Surface Tracker) title. A Champion Tracker (CT) is awarded only to those dogs that have earned all three tracking titles – TD or TDU, TDX and VST. If a dog is awarded the CT title, he is among the elite of those dogs active in tracking. To earn a tracking title, a dog needs to pass the test in which he is exhibiting only once. The fundamental features of a Tracking Dog test (TD) are the dog’s ability to follow a track laid by a person under a variety of conditions on moderate terrain and to find an article dropped by that person at the end of the track. The TD track is from 440 to 500 yards long with 3 to 5 turns (or change in direction) and aged from 30 minutes to 2 hours. A dog must indicate a glove or wallet placed at the end of the track. Tracks are plotted in an open field with uniform cover. There are no obstacles such as roads, ditches or woods. The start of the track will be marked with a flag. A second flag is placed 30 yards from the start flag to indicate the direction of the first leg of the track. There are no other flags in the field. The fundamental features of the Tracking Dog Urban (TDU) test are the dog’s ability to follow a track laid by a person under a variety of scenting conditions in an urban environment and to find the articles dropped by that person. The TDU track is 400 to 500 yards long, with 3 to 5 turns and aged from 30 minutes to 2 hours. The track will have a minimum of 2 different surfaces, vegetated and non-vegetated. At least 10% but not more than 30% of the total length of the track will be plotted on non-vegetated surfaces. The start will have a flag at the beginning and a second flag 30 yards from the first flag indicating the direction of the first leg. The TDU test articles will consist of 3 personal, dissimilar fabric or leather articles and will be the size of a glove or wallet. The fundamental feature of a Tracking Dog Excellent test (TDX) is to show unquestionably that the dog has the ability to discriminate scent and possesses the stamina, perseverance, and courage to do so under a wide variety of conditions. A TDX test presents difficult challenges. Judges are to plot tracks as challenging and realistic as the terrain will permit, while maintaining proper concern for the safety of the dogs and handlers. The TDX track is 800 to 1000 yards long, with 5-to-7 turns and aged from 3 to 5 hours. The track also has two sets of cross (diversionary) tracks and has some of the aforementioned obstacles. The start is marked with a single flag and the dog must determine the direction of the first leg. There are four dissimilar articles for each track, one at the start and three more on the track. The Variable Surface Tracking test (VST) is a test of credibility, verifying the dog’s ability to recognize and follow human scent while adapting to changing scenting conditions. 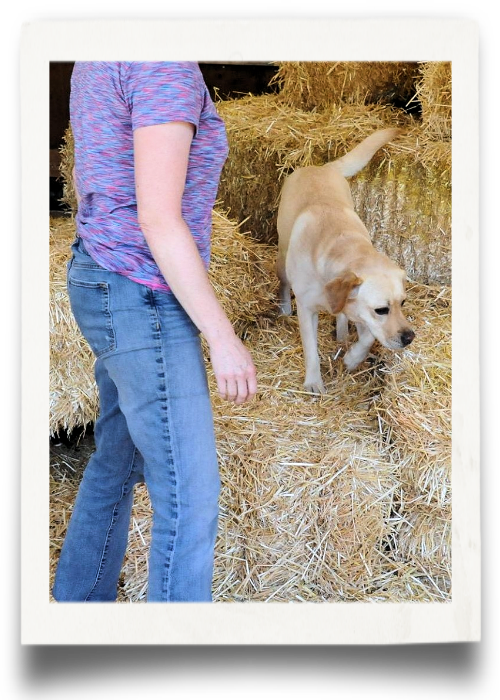 The test is to be as practical as possible while demonstrating the dog’s willingness and ability to follow a specific scent given to the dog at the start of the test. The training and conditioning of the dog must be designed to develop the inner drive, motivation, and determination necessary for the dog to work with intensity and perseverance. The dog must show ability to work on a non- vegetated surface. Judges are encouraged to permit spectators to follow along on the track, at a distance that does not interfere with the working of the dog. A “guide” may be appointed to control the gallery. A VST track is from 600 to 800 yards long, with 4 to 8 turns, and aged from 3 to 5 hours. The articles must be one each of leather, cloth, plastic and metal. The VST track must also contain three different surfaces with one turn on a non-vegetated surface such as concrete. This test demonstrates the utility of the tracking dog to work in an urban environment. Judges are solely in charge of the tracking field and their decisions are final in all matters affecting the evaluation and the working of the dogs and their owners. Judges design the track, instruct tracklayers how to walk the track, prepare charts that accurately depict the track’s design, and approve the articles used. The judges also determine the start time for each dog and evaluate the dog’s performance. The tracklayer walks a previously mapped out (by the judges) path and sets a “track.” At the end of the track, the tracklayer drops a glove or wallet that belongs to them. The goal for the dog is to accurately follow the scent along the track and locate the article at the end of the trail. The tracks can range from 440 yards to a maximum 1,000 yards depending on test level. For the host club and the two judges, a tracking test is a two-day commitment, regardless of weather. Tracking tests are usually held on Sunday, but the judges and tracklayers spend most of Saturday plotting a track for each dog. The judges draw charts of each track indicating landmarks that will allow them to locate the track with flags that mark the turns. The flags will be removed when the tracklayers walk the track the morning of the test. On the morning of the test, the exhibitors gather for another “draw” which determines the order dogs are to exhibit. After the tracks have aged the required time, the exhibitor puts the harness on the dog, attaches a 20 to 40-foot lead and begins the track. The dog is not allowed off lead at any time! The dog must closely follow the path the tracklayer has walked and find the article(s) dropped along the track. The judges follow the dog and handler to determine if the dog is on or off the track. If the dog is off the track and the judges determine the dog cannot return, one judge will blow the whistle signaling the dog has failed. There is no time limit as long as the dog is working. If the dog follows the track finding the article(s) placed on the track, he earns the tracking title for the level at which he is exhibiting. Make sure your dog is registered with the AKC. • Be sure your dog is current on all inoculations. • Become familiar with the AKC Tracking Regulations. • Attend a tracking test in your area to become familiar with the test procedure. • Do not be afraid to ask questions of those attending the test and experienced exhibitors. This is how you learn! • If possible, find a tracking class in your area. • Bring foul weather gear and dress warmly, tracking tests are held in all types of weather. • Join and become active in a local club! Tracklayers, committee chairs and workers are always needed. In K9 Nose Work, dogs learn how to search for a specific odor or odors and find the source. Dogs start by searching for their favorite food or toy reward hidden in a variety of environments, increasing the challenges and adding new search skills as the dog progresses. 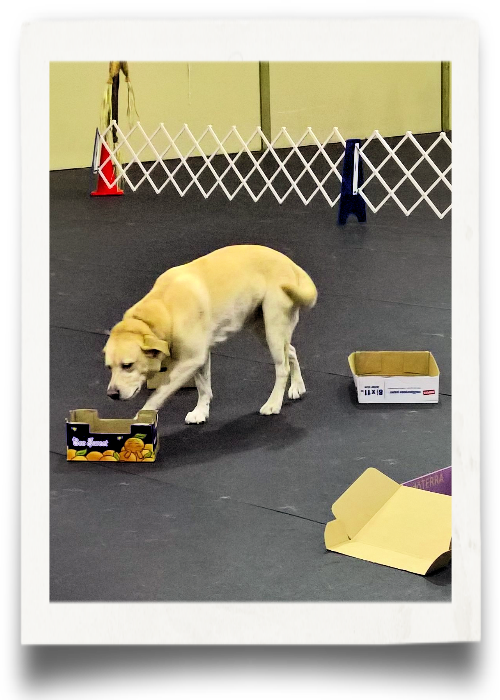 Most people will choose to have their dogs learn to find the target odors used in K9 Nose Work: birch, anise, and clove; those looking to keep it fun searching for food or toy can still have fun and progress in the activity. Once target odors are introduced to the dog, he will search for the odor only and find its source, then get rewarded by his handler with his favorite food or toy reward. A number of dog breeds were originally created specifically to be vermin hunters. Of those, there was a subset of dogs who were bred to go to ground (go underground) and eliminate or pull prey from their dens. These traditional go-to-ground earthdog breeds included Jack and Parson Russell Terriers, Cairn Terriers, Border Terriers, Dachshunds, and many others. Because they had to go down underground in animal burrows, those dogs were necessarily small. At the same time, other breeds and mixes of dogs were being used extensively above ground to eradicate vermin. Wild rats did, and do, spread disease (including plague and leptospirosis) and cause damage to homes, farm buildings grain and crops. Above ground ratting dogs could be almost any size but most were medium to small and very quick. Itenerant rat catchers would go from town to town (and farm to farm) with packs of dogs and sell their skills in ridding the area of rats. Dogs also were used in the trenches in WWI to help control trench rats who were a real danger to troops. Today, dogs still help farmers rid their crop stores and barns of rats. There’s even a group of dedicated volunteers who patrol the alleys of New York City. Using dogs to deal with rat infestations is quick, humane, and avoids putting toxins and poisons into the environment. Purebred breeds created specifically for above ground vermin eradication include (among many others) Rat Terriers, Miniature Pinschers, German Pinschers, Standard Schnauzers, and Manchester Terriers. Other breeds such as Australian Shepherds, Border Collies, etc. 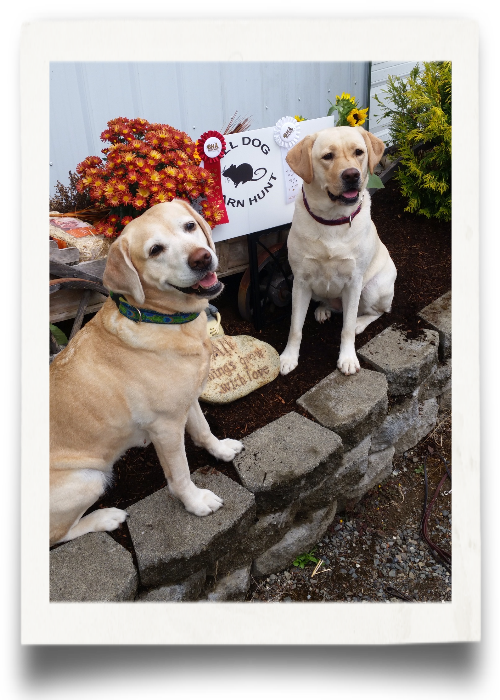 were expected to handle vermin eradication as part of their all-around-farm-dog tasks.